Most people wonâ€™t leave the house, canâ€™t make it through the workday, and refuse to smile or engage in any form of polite conversation without it. Itâ€™s become more of a life force than a soothing beverage. Iâ€™m (uncomfortably) confident assuming that a vast percentage of people would pump it through their veins if a viable option existed. Yes, Iâ€™m alluding to that bold, rich cup of Joe, that steamy cup of black tea, and that enormously super-sized cola. Iâ€™m referring to the addictive and all-too-familiar substance youâ€™ve had a needy love affair with. Caffeine: a Drug or a Drink? According to a recent survey conducted by the U.S. National Coffee Association, 64 percent of people in the U.S. drink coffee â€” the highest level in the past six years. My husband and I joyfully joined the likes of this group and became self-proclaimed java junkies. He needed his morning mud to get through the day while I savored the social aspect and soothing comfort. Soon, we started brewing organic coffee at home to avoid consuming pesticides. But the health issues were still there: nervousness, jitters, and insomnia. We were consuming vast amounts of purified water, but the daily caffeine, which acts as a stimulant and creates a diuretic effect, was leading to dehydration. 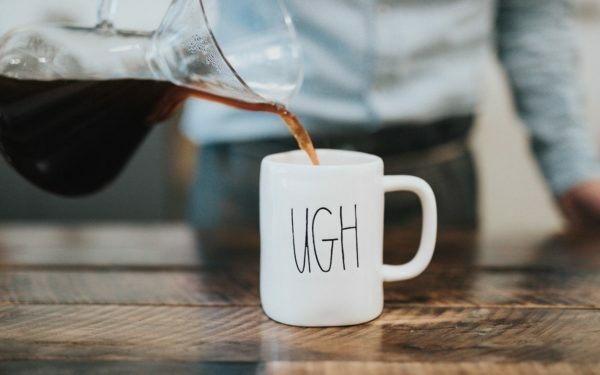 Turns out, too much caffeine can also over-stimulate the adrenal glands, causing symptoms of fatigue, insomnia, mood swings, and weight gain. It can even suppress the immune system. So much for that morning perk. When my husband and I discovered a coffee alternative, I was leery. But what really piqued my interest was the fact that Teeccino is a USDA certified organic, vegan, herbal coffee alternative made from fruits, nuts, herbs, and spices. Besides being acid-free, the best part is you can brew it in your own coffee maker. It smells delicious and tastes divine. Plus, you get an energy boost from, not caffeine, but plants rich in nutrients and antioxidants, including flavonoids. The ingredients lower insulin resistance and provide potassium without that crash-and-burn feeling. Teeccino also provides your body with other essential nutrients such as soluble fiber derived from dates, figs, and barley, while chicory and dandelion offer a prebiotic soluble fiber. Teeccino comes in a variety of flavors with Vanilla Nut being our personal favorite. Teeccino is gluten free and each cup contains 650 mg of inulin soluble fiber, which supports beneficial digestive flora, or probiotics.